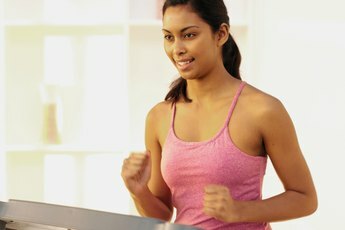 A properly maintained treadmill will last much longer. Like a car, fitness equipment requires regular maintenance to operate at peak performance. Unfortunately, hiring a service tech to perform routine maintenance can be costly. Luckily, most treadmill maintenance can be done at home by almost anyone. Performing simple tasks such as regular inspections, proper cleaning, belt alignment and lubrication will help everything run smoothly for years to come. 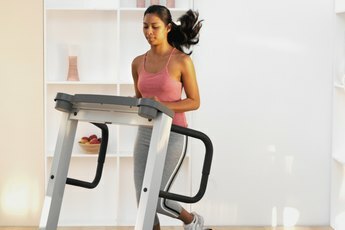 Treadmill owners need a little knowledge, a few tools and the treadmill owner's manual to complete these simple do-it-yourself treadmill maintenance tasks. One of the most important things you can do to keep a treadmill maintained is perform regular condition inspections. It is important to replace parts that show excessive wear or damage before they can cause further harm. Always unplug the treadmill before inspecting components. The inspection should include a close look at the belt for signs of fraying or deterioration. Take a peek under the belt at the deck to check for signs of excessive or uneven wear. Loose screws or wobbly components should be re-tightened before use, and the safety key should always be seated properly on the console. Finally, check the power cord for any signs of damage. If you find damage, consult the owner's manual or contact the manufacturer for repair instructions. Check the treadmill belt for tension and misalignment every two to three weeks. The steps required to adjust a treadmill belt can vary by manufacturer. Some require removal of a cover to access the belt rollers. Once the rollers are accessed, it is as simple as tightening a screw to adjust the belt tension and alignment. Check the treadmill's user manual for specific instructions. Dust the treadmill with a microfiber cloth or duster. It is important to keep the treadmill clean and free of loose dust and debris. Tiny particulates can make their way into the motor, eventually causing buildup and overheating. Dust the treadmill every few weeks, carefully removing debris from the console and around the base of the unit. Wash sweat and body oils off the treadmill with an approved antibacterial treadmill cleaner to avoid deterioration. Never use harsh abrasives or cleaners that are not approved for use on fitness equipment, as they can damage sensitive components. Cleaners come in spray or wipe form. Lubricate the treadmill belt. Lubrication helps keep friction to a minimum, saving wear and tear on the belt and deck. The easiest way to lubricate a treadmill belt is to buy a treadmill lubrication kit online or at a specialty fitness retailer. The kit usually comes with a small bottle of lubricant and a long tube that is used to distribute the lubricant underneath the belt. Follow the instructions on the kit. Some manufacturers claim to have wax impregnated belts and decks that do not need lubrication. It is still a good idea to check the belt to see if there seems to be excessive fraying or friction and contact the manufacturer if you see problems. Follow manufacturer recommendations for how often you should lubricate your treadmill belt. Always consult the owner's manual before making any adjustments or repairs to your treadmill. If you have questions regarding maintenance or repairs, contact the manufacturer's customer service line directly to see if the maintenance or repair will void your warranty if you complete it yourself. Always plug your treadmill in to a surge protector to protect electronic components. Always unplug the treadmill before attempting any maintenance procedures. 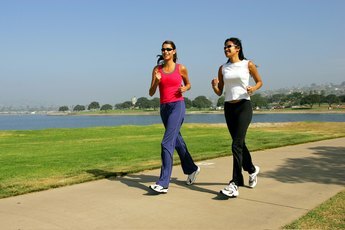 After adjustment, test the belt tension and alignment before stepping on to the treadmill. After cleaning, allow the treadmill to dry completely before attempting a workout. 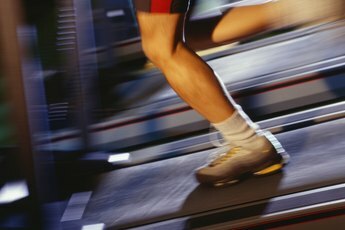 Be careful not to drip lubricant on the top of the treadmill belt or the floor, where it could become a slipping hazard. Clean up spilled lubricant immediately. Always follow manufacturer recommendations first and ask for help if you need it.